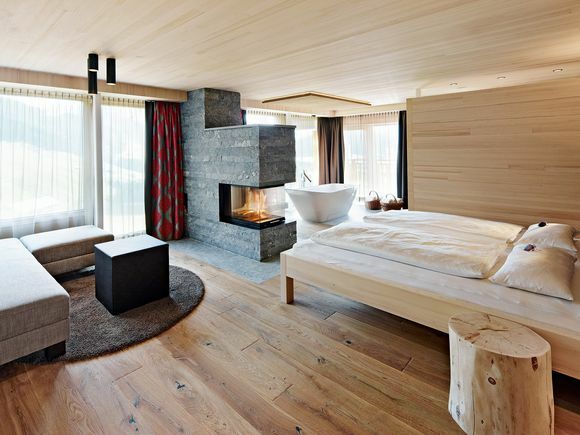 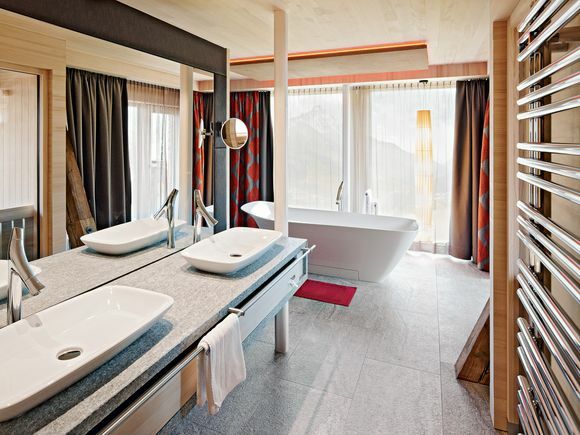 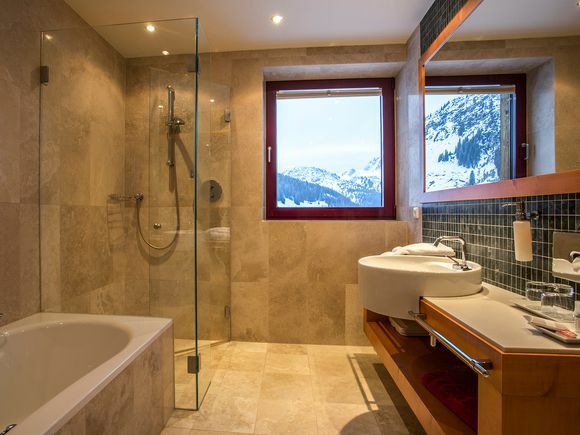 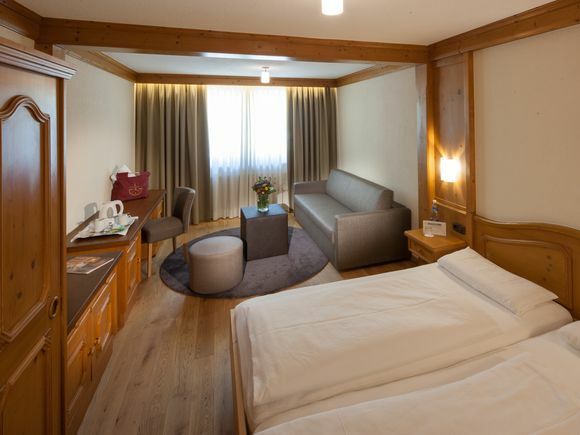 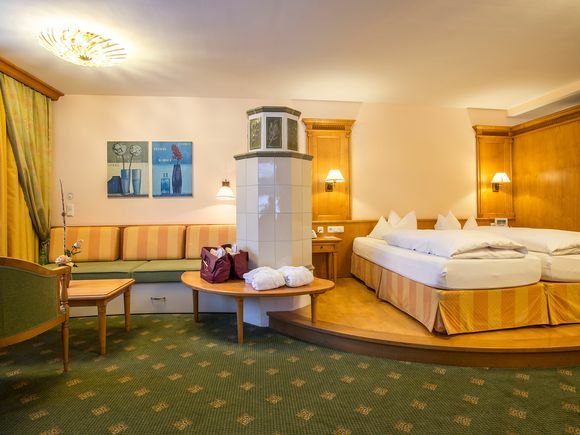 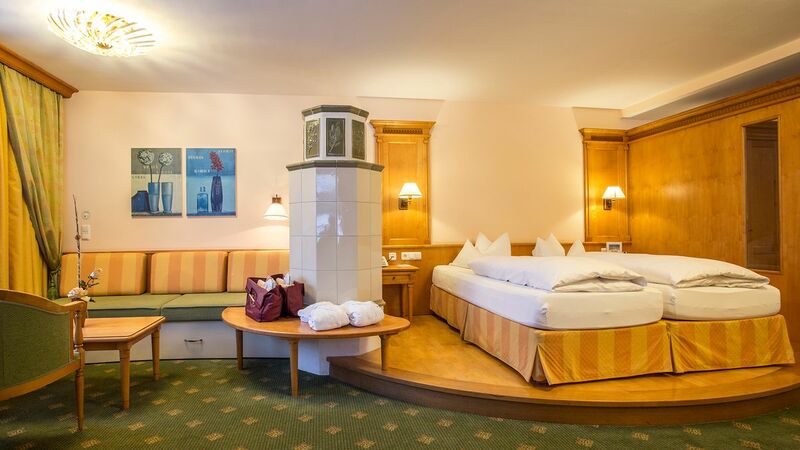 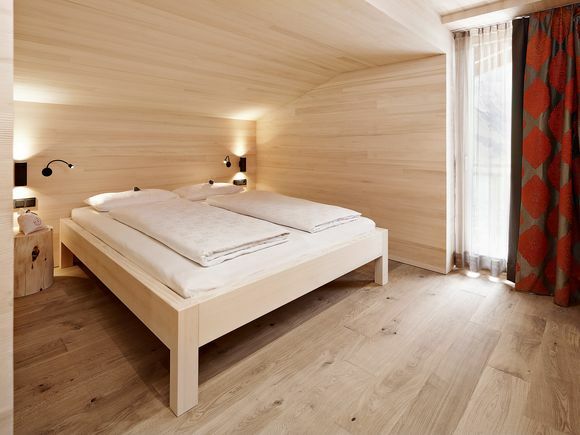 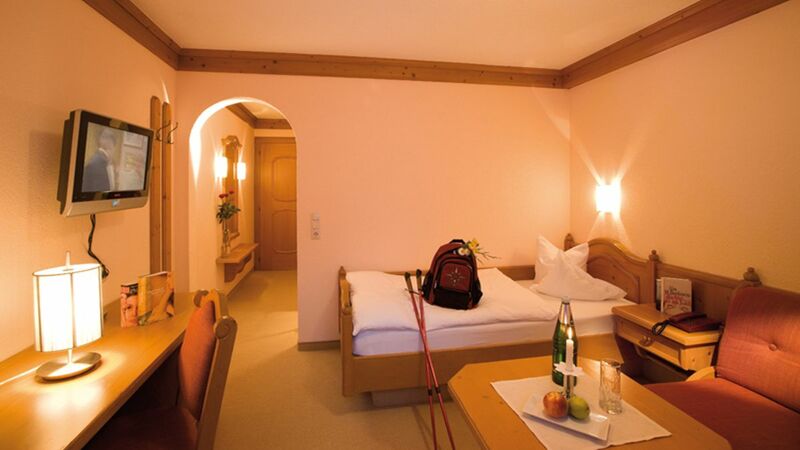 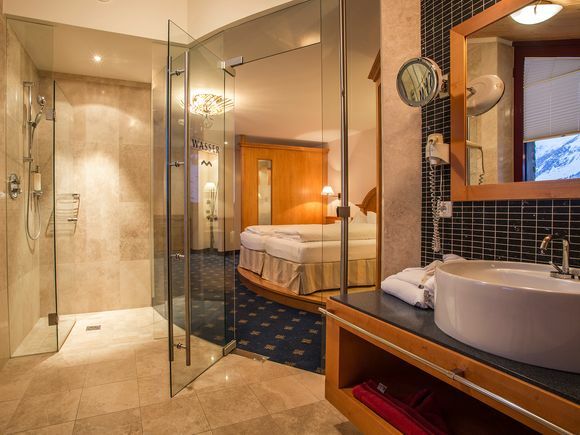 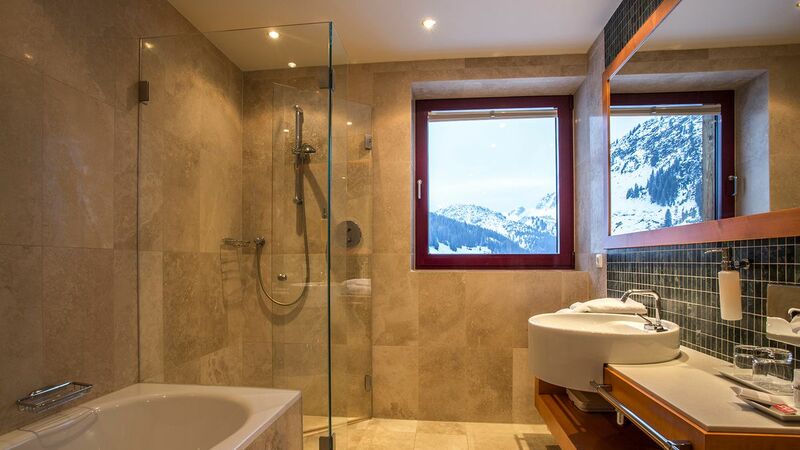 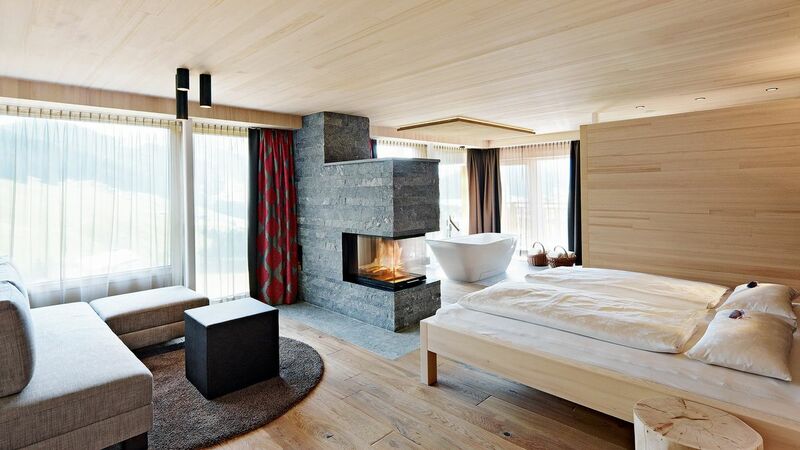 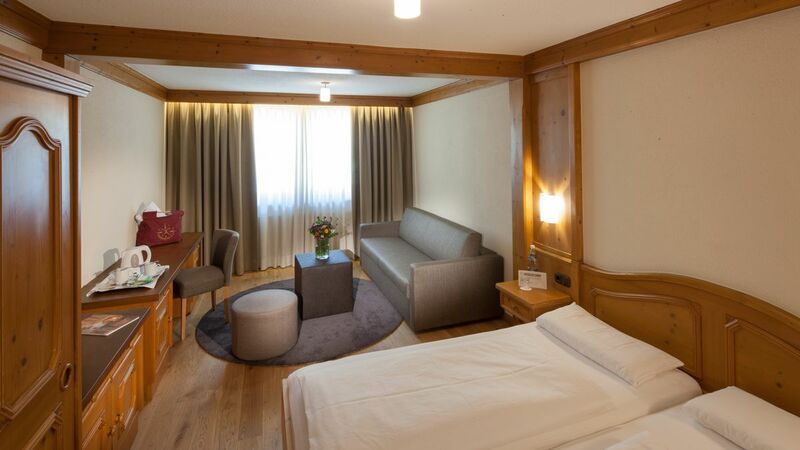 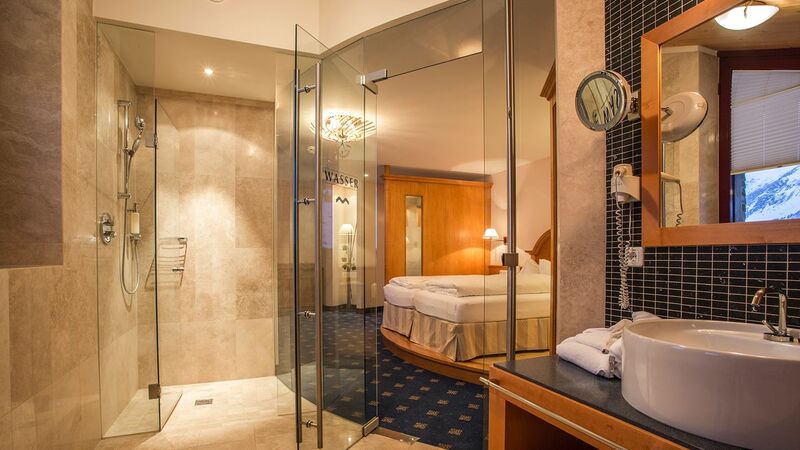 Mountains for your senses – Rooms & suuites for delightful living and sleeping in the Spa Hotel Warther Hof. 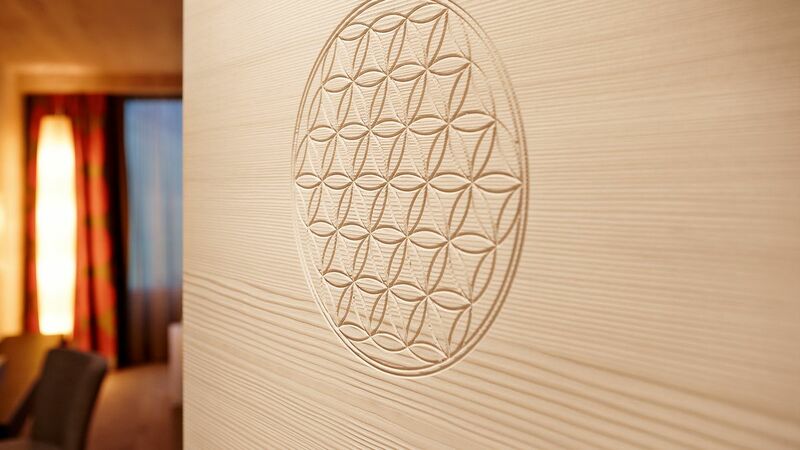 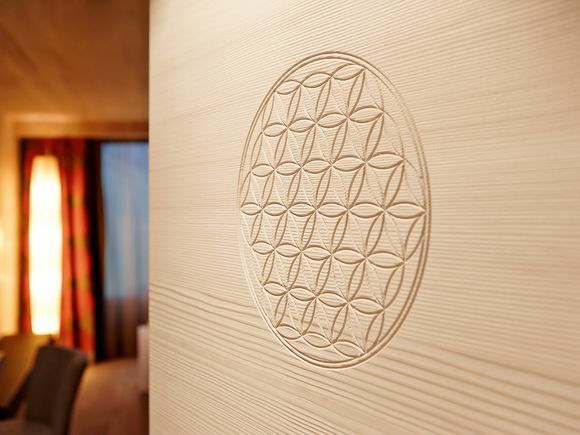 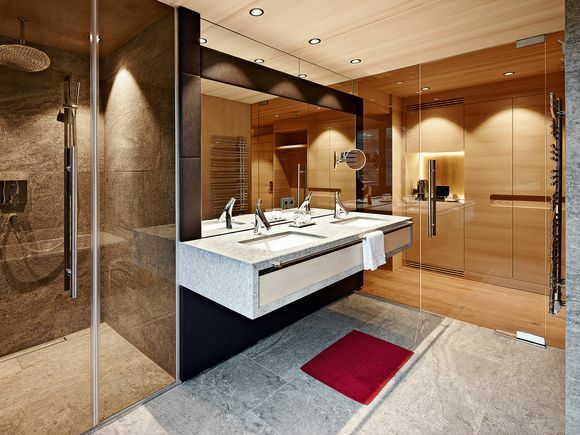 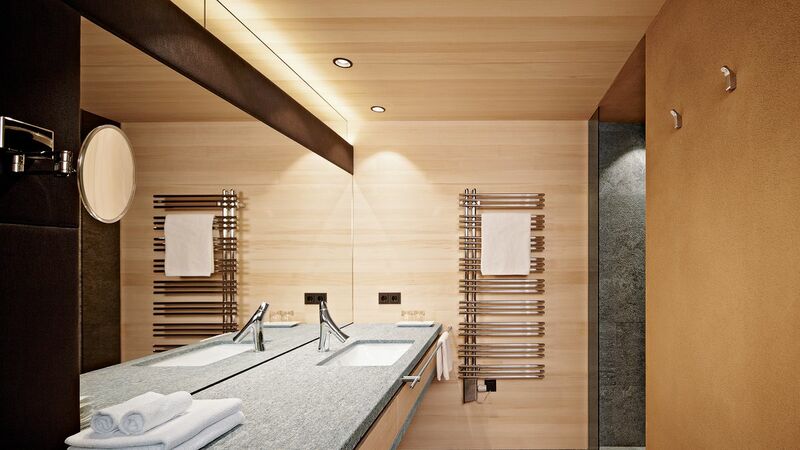 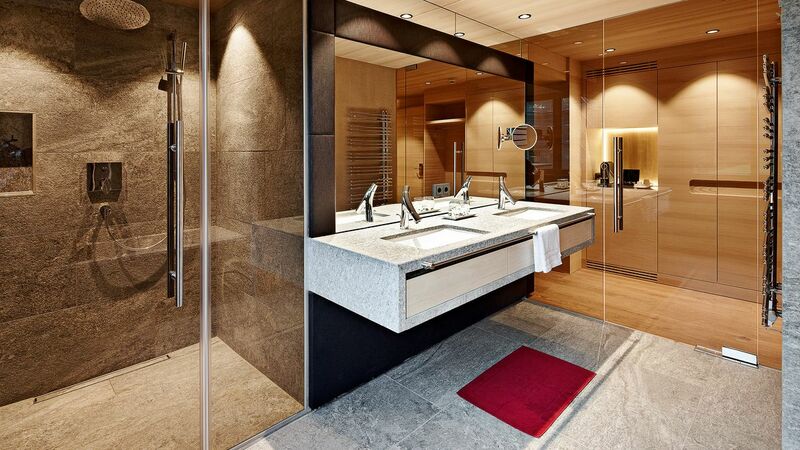 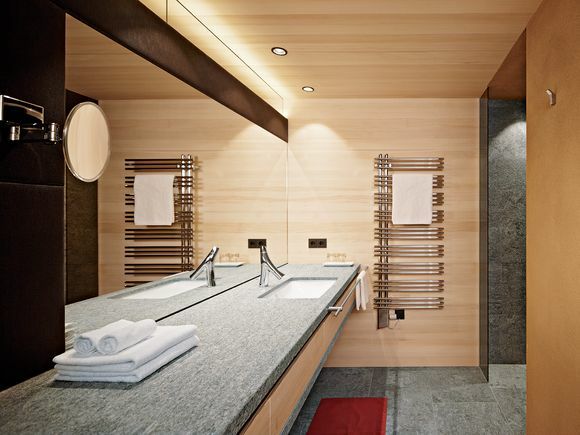 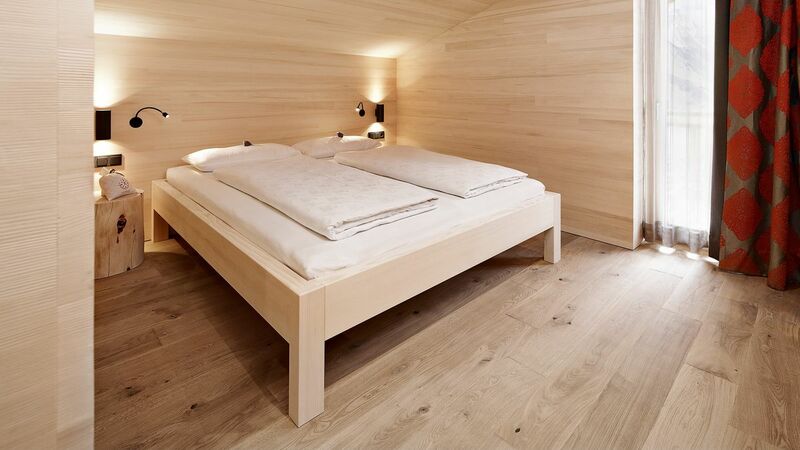 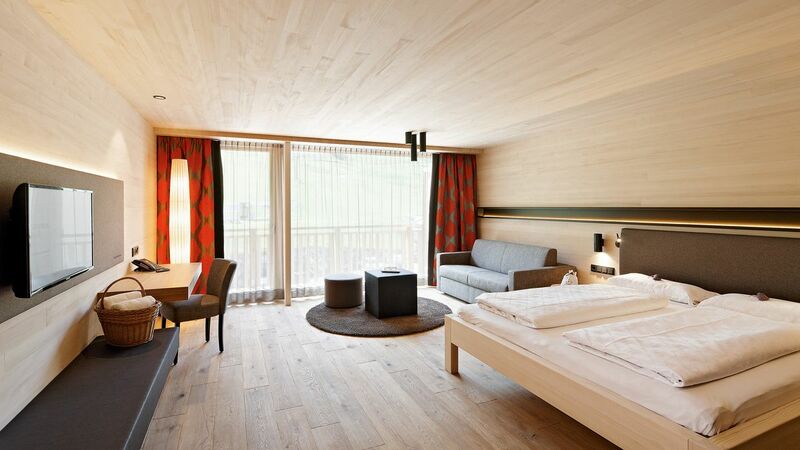 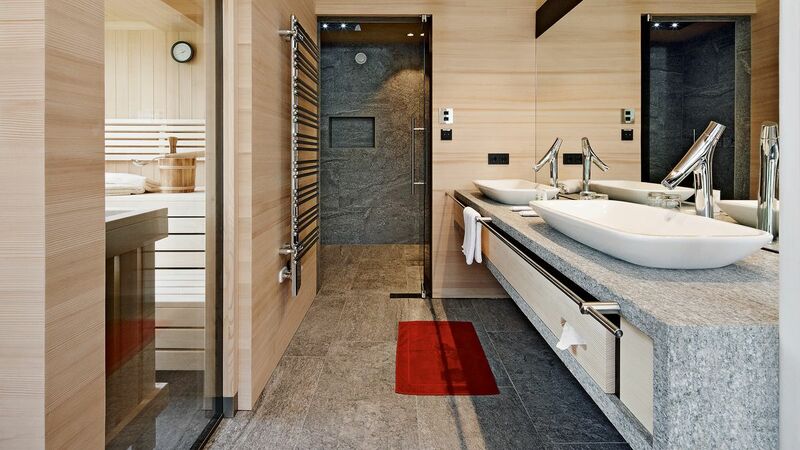 Breathe in the gentle Swiss pine aroma in our Nature Power rooms, furnished with regional wood. 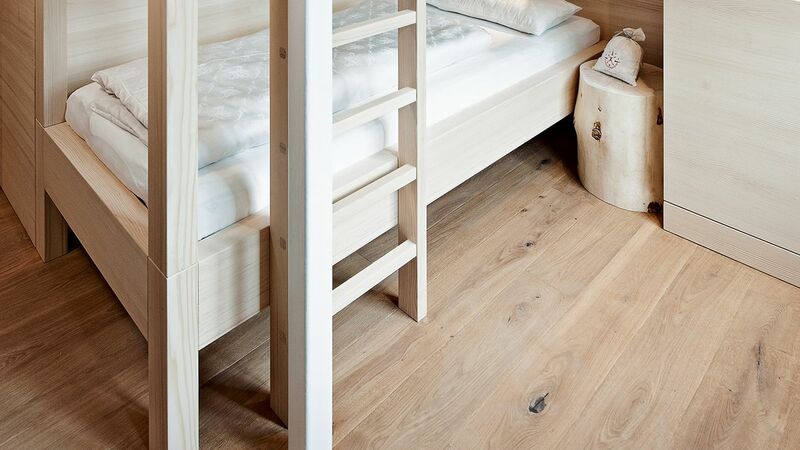 Atmen Sie den sanften Zirbenduft in unseren aus heimischem Holz gefertigten „Naturkraftzimmern“ ein. 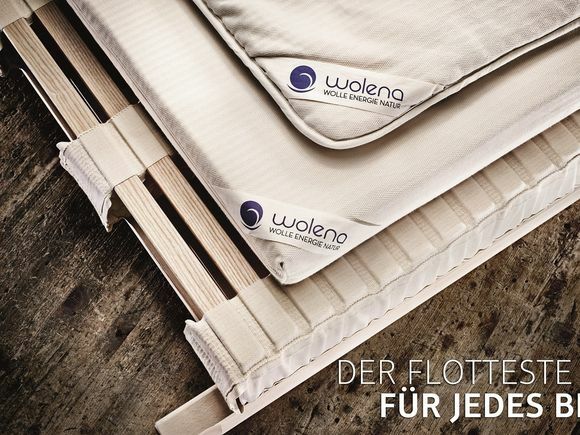 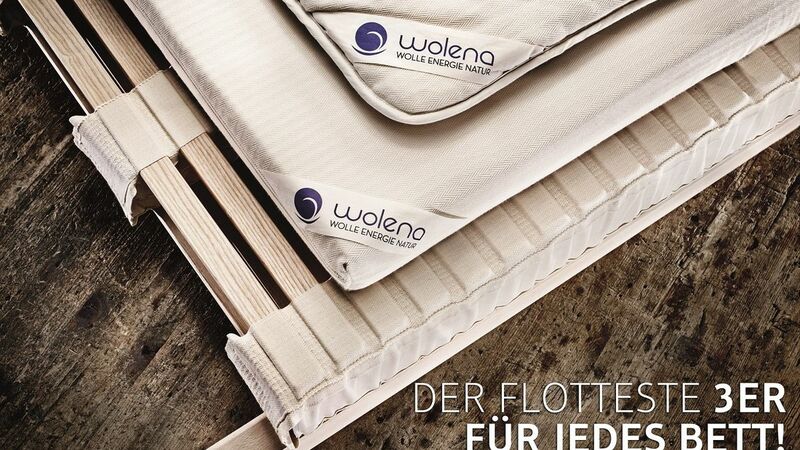 Caress the natural stone sink and cuddle into the unusual Freya bed from the WOLENA sleep system with completely natural duvets and pillows. 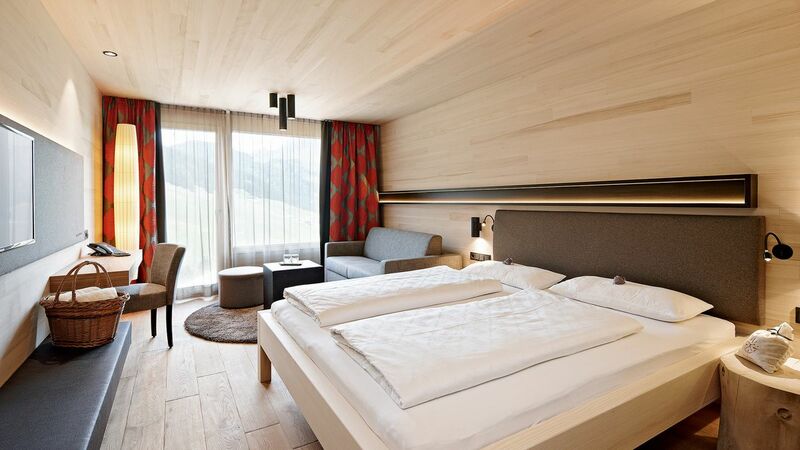 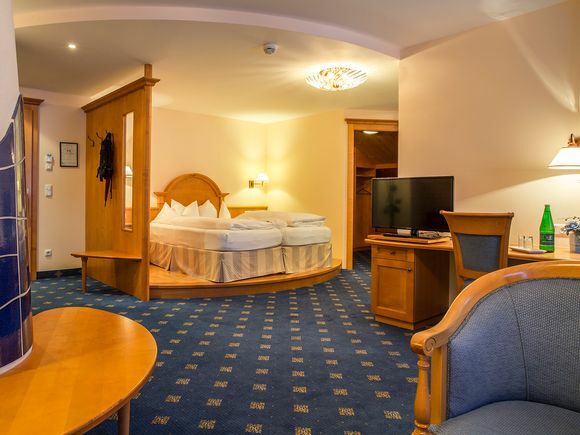 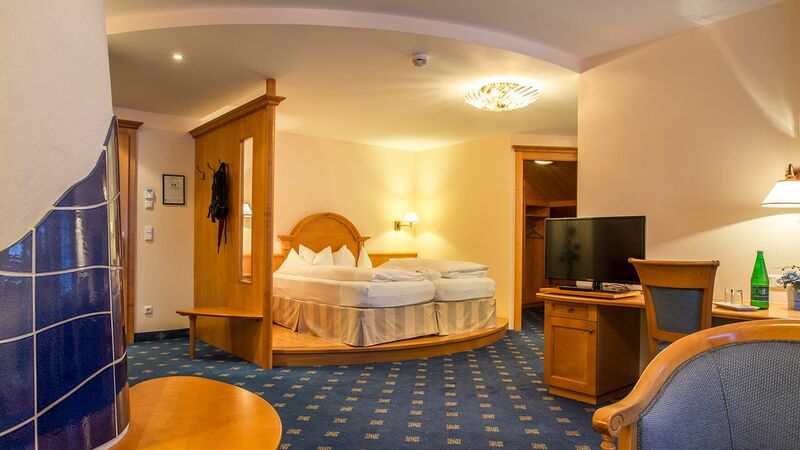 In many of our "Arlberg" double rooms you will find the holistic SAMINA healthy sleep system for one-of-a-kind Bio-active sleep®. 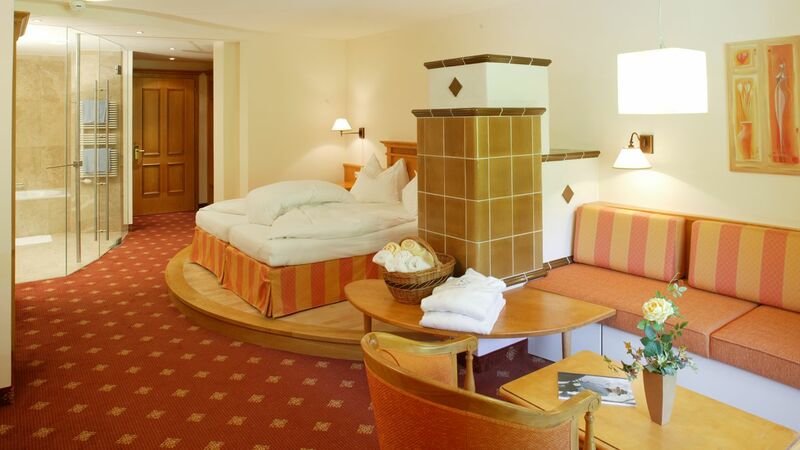 Enjoy the cosy warmth of the tiled stove or the open fireplace in our suites. 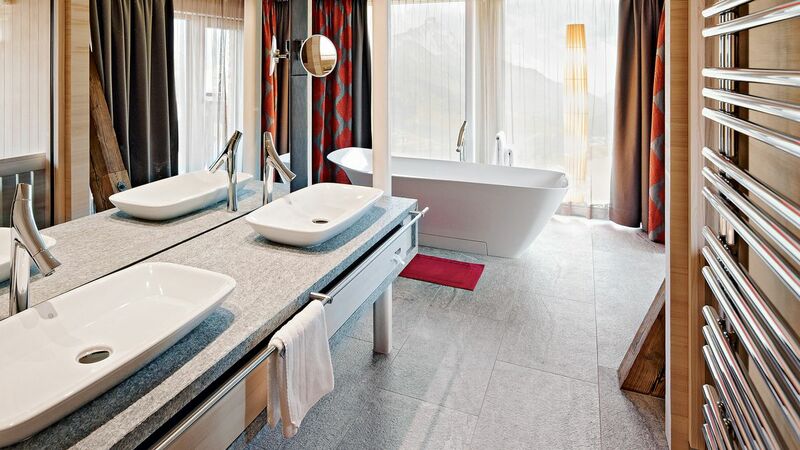 The Warther Hof Gourmet & Wellness included services will also inspire your senses. 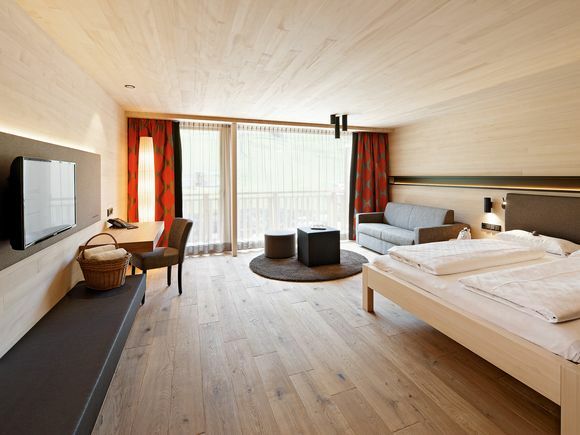 Double room with white pine furnishings. 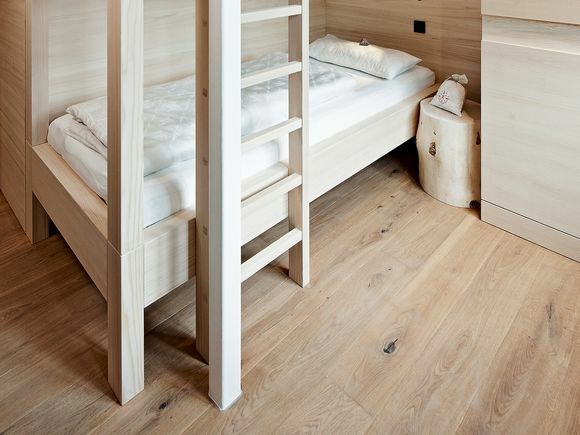 Small double room "Nature energy"
Suite with white pine furnishings.